Weather: The Woodies were hoping that the weather should hold up since expected weather conditions on the day was thunder storms and shower. It was an okey overcast weather. Bit humid, better than yesterday’s handicap, and no rain! Location: Why can’t they put races on Sunday just beside where I live? Slept in and woke up 20 minutes to start! The warm up was the jog from home to registration tent, easy. Was it well organized? It was confusing as we ran to King George Oval and couldn’t see the Balmain Fun run banner or tent and it was the 7 Bridges walk day and they set up Iron Cove’s check point on the same location as where BFR is! I saw the finish chute, I did not realize the 2 KM run was going and I just ran through the track, good thing I did not bother a runner. Found the Registration tent at last. Timing: was manually timed, however some runners would have not a clue, including me to hand the paper to where you checked-in, Lucky I kept it in my pocket and survived the sweat from the cool down run. Difficult, as the race Director, John Dawlings would describe it. Hilly amongst Callan Park. The park was good and shady from the trees, scenic kind of, although the council should have ran the fun run and found themselves running through the pot holes! 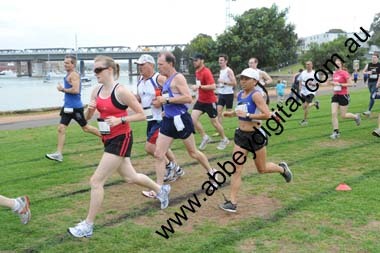 Nice flat on lalst 2 Kms, and a 200M finish along the King George Track. Well measured and wheeled. Accurate distance. Athmosphere: good that it included the 7 Bridges walkers as it seem to have incorporated during the event, It was an extension of Halloween too assome ran in their costumes. Bouncing castles for kids, and lucky prizes for everyone. 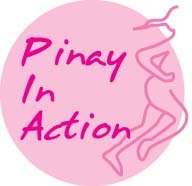 Value: cheap at 20 for 5Km and 25 for 10KM for late registrants. At the end you get Orange slices and bottles of Powerade! (Iv’e heard that some one did hoard bottles of the sports drinks in her bag! hmm i wonder who that was!) And age categories were given medals and trophies together with the overall winners. 2. Time keeping – better way to keep all runner’s times recorded to avoid the confusion and protests during the award presentation. After running yesterday’s Woodstock Handicap around the bay, I thught i’d just do 5Km on the hard course and try to go hard if i can. A bit shell shocked for waking up late and 10 minutes to start picking the bibs< i was well warmed up. Chatting to a few woodies who participated the race at the start we saw a lot. 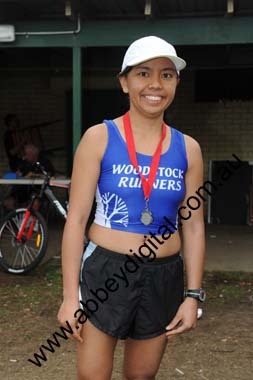 Probably the most participated Fun run for Woodstock Runners, since the RD is a Woodie! Anyway, we started at the track together with the 10Km runners. It was hard running with kids participating the distances. plus running on the grass made it more difficult, I did not try to run quick or anything as I know the course is half bit of it is the hills and half of it is almost flat and downhill. I was just behind Tez and Tris and Steve of WR, whom they were all running 10KM. I know Tez has been running under 5min/Ks lately so if i stick to him i’d do an under 25 minute finish. So all the way I did. I stopped and paused for seconds in the water stop where the water marshall was kind enough to splash water on me. I caught up with Tezza, I was running out of breath and almost giving up and wanting to walk on the last hill, although I keep saying myself, the hills are almost over and half way i know it should be down hill soon and a flat, so I held on. I was Behind Barry Crisp who is running the 10, who tried not to let me pass him. At the rugged bit beside the water, I over took him and few runners. Caught up with Terry at that last incline, few hundred meters to finish. We tried to run together as i paced myself entering the track, i was already tired and saw mytime just over 100 meters away it was 24:35! I should hurry and not let the clock go 25 minutes. it was a good finish, i finished alone on that time, most runners whom I was in pace with went on on their 2nnd lap. I finished at 24:58. Just! Just under 25. I’m happy with the time. I should train on that course more regularly considering it is near our place. So I finished I thought I should go back and cheer on Tez as the course is difficult, and I saw Elmarie and she wanted to do another lap, so we did, we ran counter clockwise against the flow of the runners. Unlucky. At one of the hill i suddenly treaded on an a bone left by a dog on the path. My left ankle was sprained and I couldn’t feel it. I feel sorry for El Marie she had to stop while we were doing the cool down. It was painful, and got swollen immediately. I tried stretching and bending it, it hurts but I can walk. After a 10 Minute rest cheering on the runners passing by I decided and felt I can run/dawdle really slowly. it must be the endorphines kickig in, i couldn’t feel the pain when we were running back. as soon as we got back I had it iced. 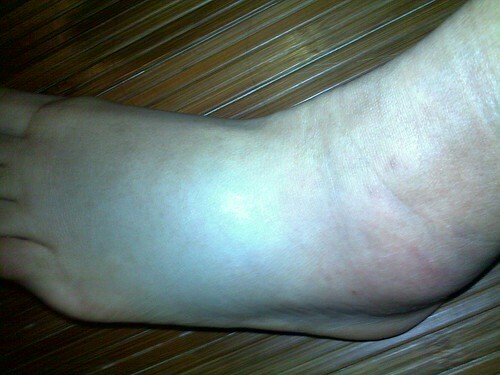 And the following morning and till this 4th day, my ankle and left foot is bruised and swollen. 😦 I am resting for a week as I pre-entered Fishers ghost and doing team for Woodstock ladies in two weeks time. Looking at how my foot look like right now, I don’t think I’d be running this Sunday. I never run out of injury! And the swollen left ankle! 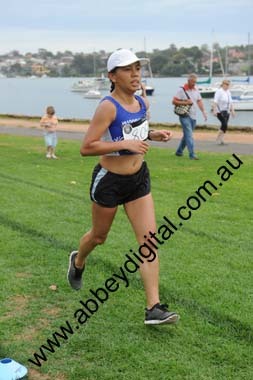 Great run last Sunday at Balmain Fun Run! 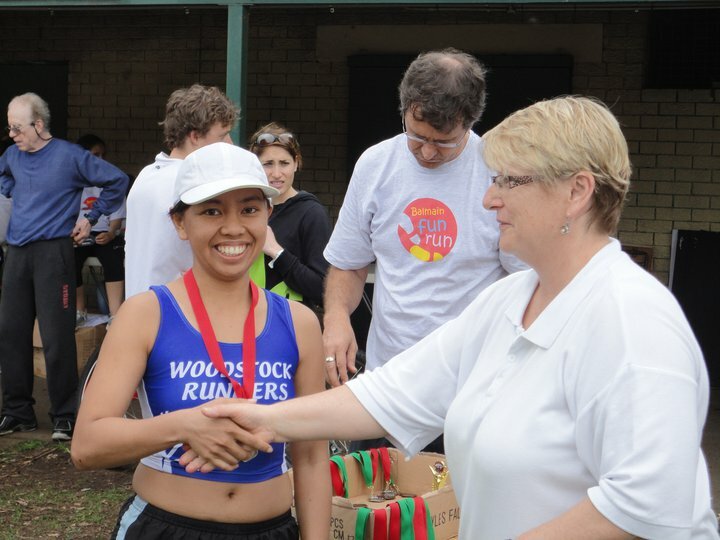 I would like to publish reviews of Fun runs starting this coming November edition for Woodstock’s Newsletter The Rundown. Martin suggested I pick you to do the review for Balmain Fun run please? I can give you a guide and just send through before November 9. 3. Value – Your registration fee was it too dear or cheap? 4. Marshalls? Were they doing their job, were there enough? 5. How do you find the Water and aid stations? 6. The course? 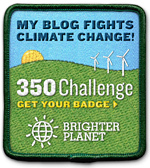 – easy, difficult, well measured, scenery? 7. What did you like about the run? 8. What do you think needs improvement? 9. How’d you go in the run? 10. Will you do it again next year? Hoping for your response soon! ← Running stuff for sale @ Run For Your Life shop! That ankle looks really painful. Good for you for carrying on and not giving up. Ouchh… it seems that it hurts a lot.. But you were great to continue and finally made it under 25 minutes.. Two thumbs up for your spirit!! !